A nutritional breakfast, lunch and snack are provided and included in your weekly tuition. Menus vary according to the season and are rotated to provide variety. Lunch includes foods from the basic food groups, which supply one-third of the child’s recommended daily allowances. 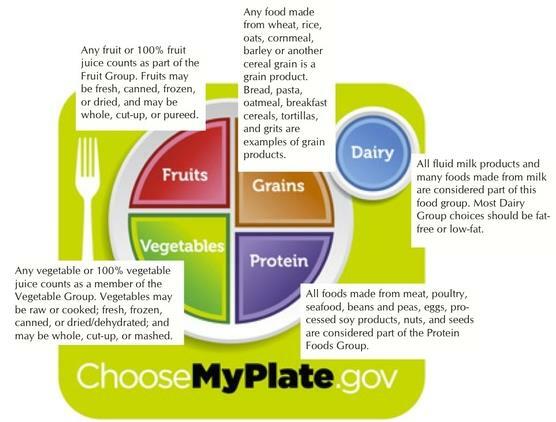 If your child has any special dietary needs or restrictions, the center director will assist the parent with meal planning to insure nutritional requirements are met. The Centerville Young Learner’s World participates in the Child and Adult Food Care Program (CACFP) and follows their guidelines and policies. More information on the CACFP program can be found here. Enjoy your food, but eat less. And avoid over-sized portions. Make half your plate fruits and vegetables. Make at least half of your grains whole grains. Compare sodium in foods like soups, bread and frozen meals. Choose the lowest. Also drink water instead of sugary drinks.